At this time dawn and the time of morning prayer was approaching. When Busiri took ablution and started towards the masjid, he saw a dervish. The dervish wanted Busiri to give him the ode he recited in the presence of the Prophet the night before. Reciting the first line exactly, the dervish said that he saw it in a dream recited before the Prophet, who continued moving to and fro like atenderplant, as a mark of his approbation, and them invested the reciter with a ‘Mantle’. The poet gave him the poem, and the report of this incident spread out till it reached Bahauddin the Vazeer of King Tahir. He sent for the poet and, on obtaining the poem, took an oath to have it recited to him with bare head and naked feet. He and his people since then took great delight in its frequent recital. It is said that Sa’duddin Fariqee, the seal-keeper of the minister, afterwards suffered severely from a serious opthalmia which threatened him with a total loss of sight. In a dream he saw someone bidding him go to the Vazeer and ask him to place the ‘sacred Mantle’ on his eyes for an immediate cure. The Vazeer, on being in formed of the matter, said that among the sacred relics of the Prophet in his possession, he had no such thing as a ‘Mantle’. But then recollecting that it probably meant the poem of Busiri, he took it and placed it on the eyes of Sa’duddin. Through its barakat Allah Ta’alaa granted him complete cure and restored his eyesight. Hence the ode came to be called Qasida tu’l Burda and received veneration among all Muslims as a qasida especially approved by the beloved Prophet Sallallahu ‘Alaihi wa Sallam. Its verses are often learned by heart and inscribed on the walls of public buildings. It is congregationally recited in the majalis (spiritual gatherings) of the Zaakireen (those who remember Allah Ta’ala) all over the world. It cures diseases as well as purifies hearts if recited with love and devotion. 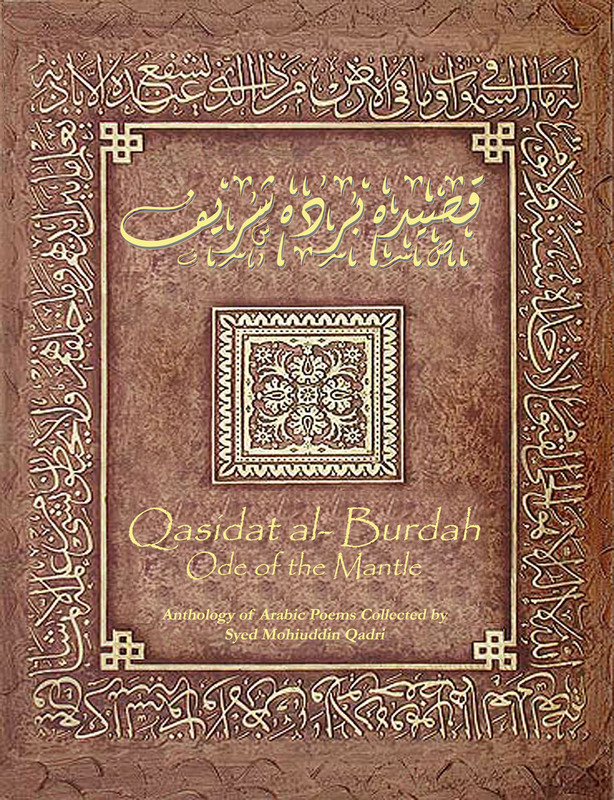 Such are the circumstances related to have given birth to the poem, and to have given it the name of “The Ode of the Mantle” or “Qasida al-Burdah”.